NOTE: This is exclusive breaking news from Texas Links Magazines. The United States Golf Association today upheld its ruling that Mike McCaffery professionalized his amateur status on Aug. 21 by accepting a check for $8,500 in a skins game at Beeville Country Club. voided after he accepted $8,500 in an August skins game. McCaffery, 41, met with the USGA Executive Committee for 30 minutes on Feb. 3 to appeal on the decision that stripped him of his amateur status last October. The ruling negated the bulk of one of the most impressive competitive seasons in recent Texas amateur golf history. Speaking through his attorney Guy Fisher at the closed-door meeting, McCaffery again admitted his wrongdoing and asked for leniency in his punishment. McCaffery noted that he returned the $8,500 check once he realized it violated The Rules of Golf’s Amateur Status. A former professional mini-tour player from League City, Tex., McCaffery in February 2011 was reinstated by the USGA as an amateur. Routinely blasting drives beyond 300 yards and showcasing a deft short game, McCaffery went on to have a phenomenal run on the state and national levels. The highlight came in September when he won medalist honors during the 36 holes of stroke play in the U.S. Mid-Amateur Championship at Shadow Hawk Golf Club. During match play of the USGA national championship, McCaffery advanced to the quarterfinals. Prior to that, he won the medal for the nation’s best U.S. Mid-Am qualifying score, an 8-under 64 at Pine Forest Country Club. McCaffery also won the 2011 Texas State Mid-Amateur at Carlton Woods, the Texas Golf Association’s South Region Mid-Am at Riverbend Country Club and the Harvey Penick Invitational at Austin Country Club. He finished third in the Texas Amateur, played at scenic ACC. TGA president Rob Addington said he couldn’t remember a player having so much success at the amateur level in one year. After McCaffery accepted the skins game money in August, however, he professionalized his status. The October USGA ruling voided all his results past Aug. 21, which included the U.S. Mid-Am, the Texas Mid-Am and the Harvey Penick. Part of McCaffery’s confusion, he said, was delineating the difference between “prize money” and “gambling.” At the Aug. 21 tournament in Beeville, McCaffery, who indicated on the entry form that he was playing as an amateur, won a $2,000 check for second place in addition to the $8,500 he won for skins. Knowing that accepting the prize money was in violation of the Rules of Golf’s Amateur Status, McCaffery did not take the second place winnings. He believed that skins games fell under the Rules of Golf’s “Acceptable Forms of Gambling” provision, however, and accepted the $8,500. He returned the money a couple of weeks later once he realized that, too, was a violation. What made this an unacceptable form of gambling, according the Rules of Golf, is the fact that the skins money came from the tournament organizers and was not solely put up by the players. This wasn’t a friendly bet between buddies; the skins money came from tournament dollars. After the October ruling, Goode also said that McCaffery’s repayment of the money was a non-factor. “After-the-fact repayment of prize money isn’t a valid defense of a violation of the rules of amateur status,” Goode said on Oct. 22. For his part, McCaffery said he understood the USGA’s position. He was content with the time he was given to state his appeal, he said. At the same time, he believes he did the right thing by giving the money back and wants the chance to play amateur golf again. Unfortunately for McCaffery, he remains ineligible to play in sanctioned amateur events. Goode said that there is indeed a lesson here from which all amateurs can benefit. Where McCaffery goes from here is yet to be determined. He said he’ll digest this ruling and investigate what playing opportunities he’ll have. 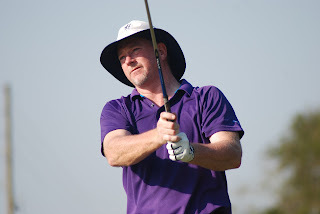 For more updates on Mike McCaffery, the USGA and all the events surrounding golf in Texas, visit www.myTXgolf.com.